Universal Funnel Animal is a stylish funnel-shaped container for supplements. It enables convenient transportation of the supplements and their convenient mixing with water, for example at the gym. This funnel is an extremely useful gadget, especially for gym or fitness club goers. It allows for storing powdered supplements and their convenient transport without the need of carrying the original packaging. Funnel-shaped, the gadget allows easy pouring of powder into the narrow neck of the bottle without scattering. The convenience of the supplement’s use is also ensured by a tight seal and the ability to measure the desired dose at home before leaving. Users can be sure that the supplements will not scatter on the way to their daily training, and the pre-measured portion will entirely go to a shaker. In addition to the use itself, the container is also convenient to clean. It can be washed both under current water and in a dishwasher, yet being careful as not to place it under other dishes – otherwise, the gadget may deform. This funnel is also a stylish addition to the everyday equipment of a gym bag. The attractive look of the funnel goes hand in hand with its functionality. 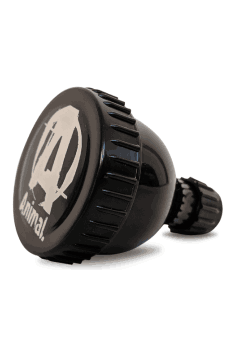 Universal Funnel Animal is a durable, carefully-made product with the Animal logo on the lid as to add it a touch of attractiveness. In summary, Universal Funnel Animal is a container that acts as a dispenser and funnel for powdered supplements. It combines the features of a practical gadget and a fashionable addition to training equipment. Besides the funnel, I also recommend the so-called "pill box" – boxes for the supplements in a tablet form. As with the funnel, bringing whole packages of the supplements to the gym will be no longer necessary and both the funnel and the pill boxes do not take much space. The highest quality of design, comfort of use and unique design distinguish the user in the gym. Training bag with a large capacity of 42 l. Has many pockets and compartments. Traditional shaker with the capacity of 700 ml and one compartment. Made of high-quality material. Training gloves for women. Well suited to hand. They have handles for easy removal. Attractive appearance attracts the eye and makes drinking a pleasant experience. Professional training gloves with leather belt wrist. Powerful and convenient.